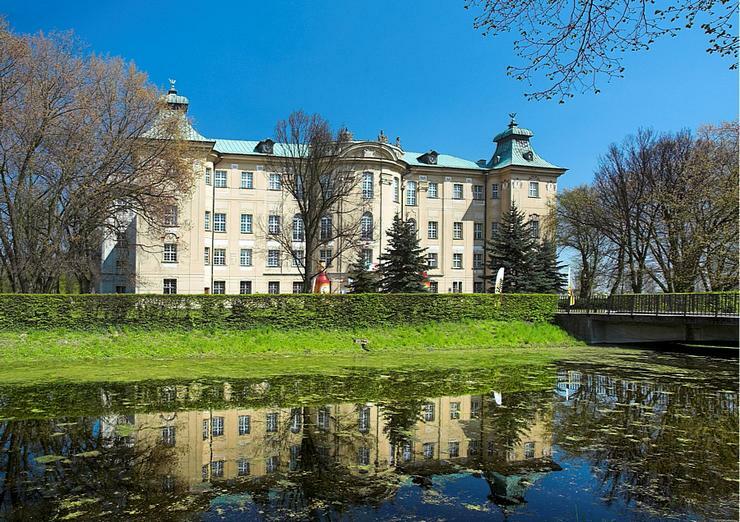 Radomierzyce , Palace on Water, from 18 cent. 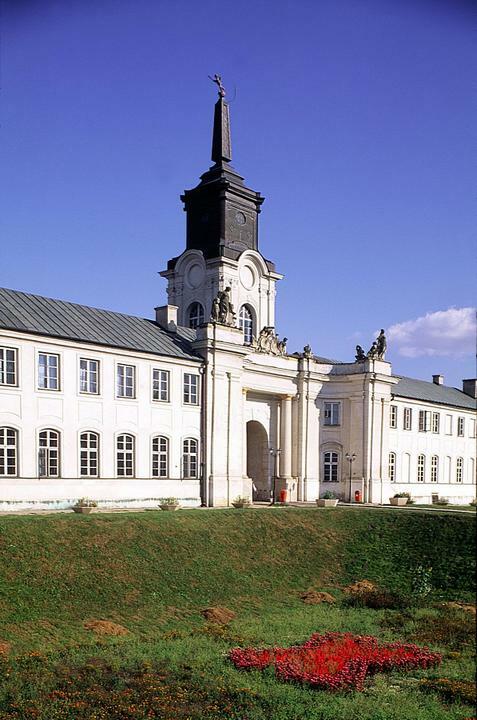 Rogalin is primarily famous for its 18th-century baroque palace of the Raczyñski family, and the adjacent Raczyñski Art Gallery, housing a permanent exhibition of Polish and international paintings (including Paul Delaroche and Claude Monet and the famous Jan Matejko's large-scale painting Joanna d'Arc, see a fragment below). 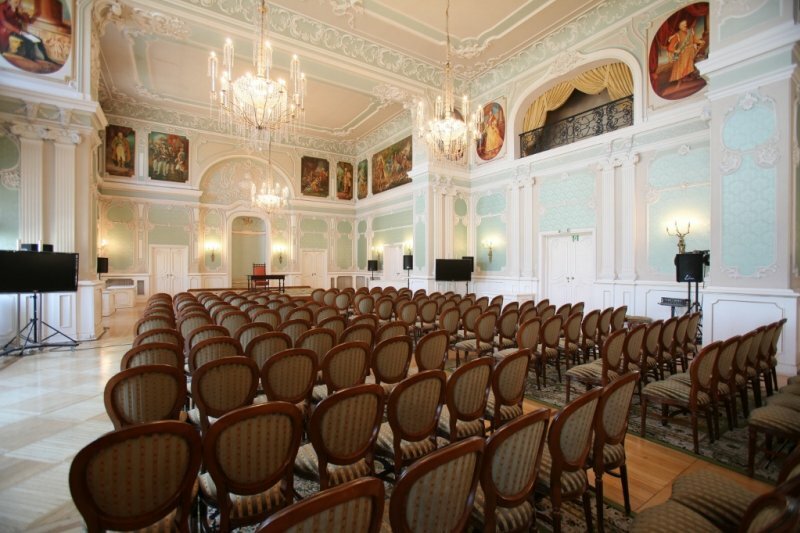 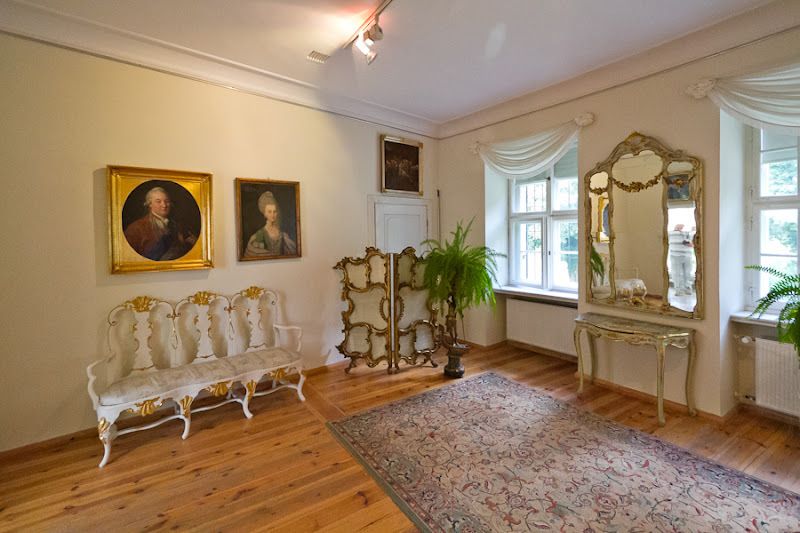 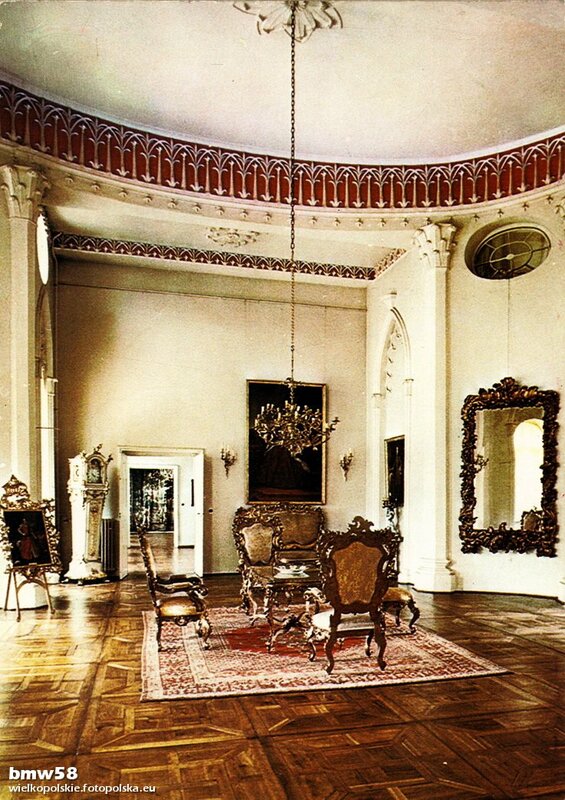 The gallery was started by Edward Aleksander Raczyñski. 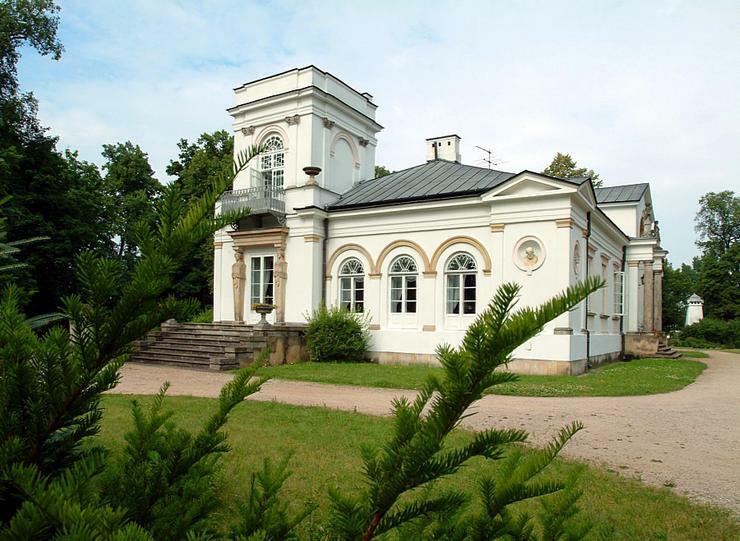 Rogalin is also known for its putatively 1000-year-old oak trees (Polish: Dêby Rogaliñskie) on the banks of the Warta. 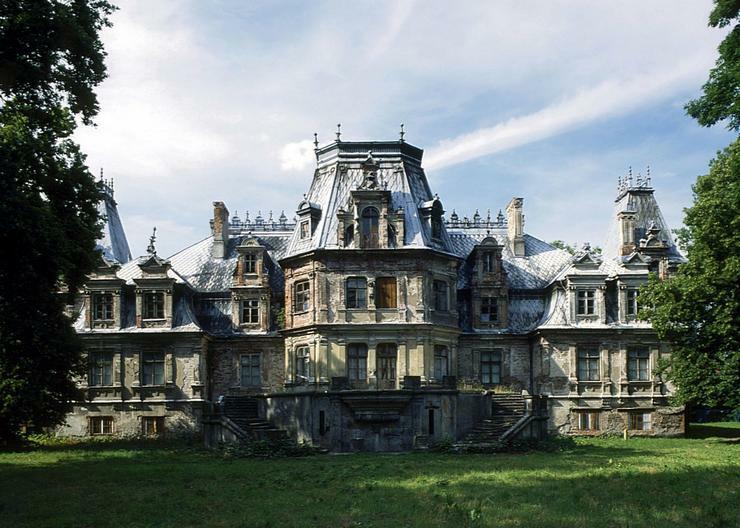 I suppose some day I need to go there and find this out! 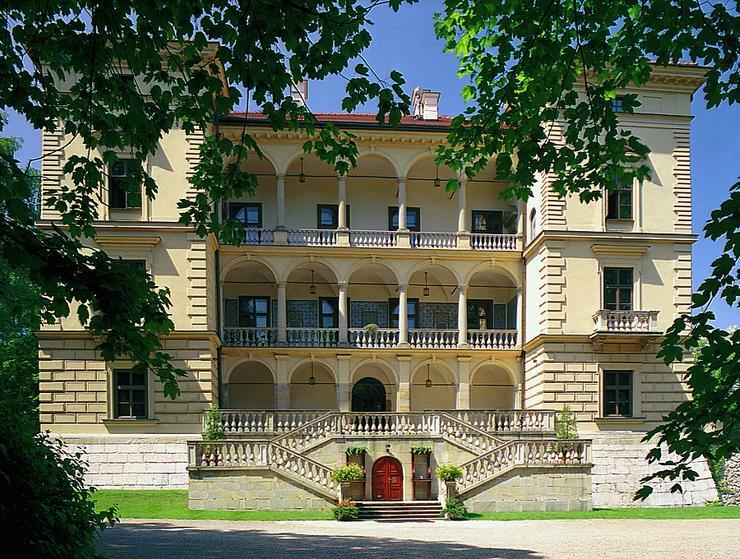 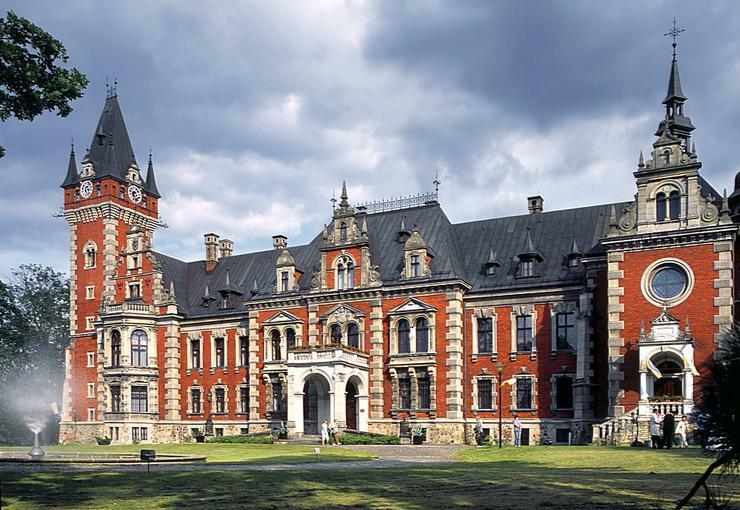 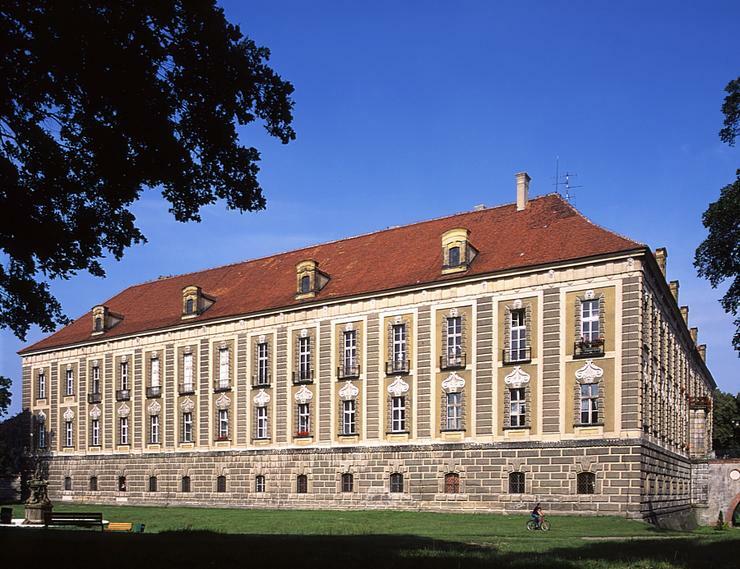 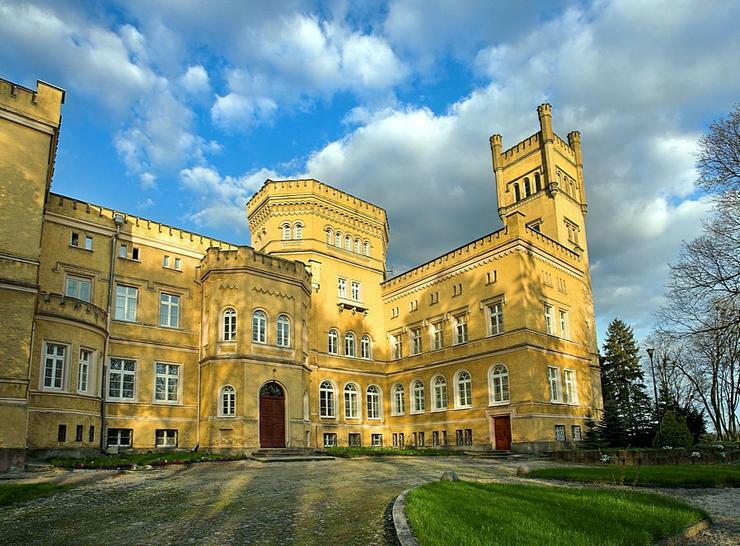 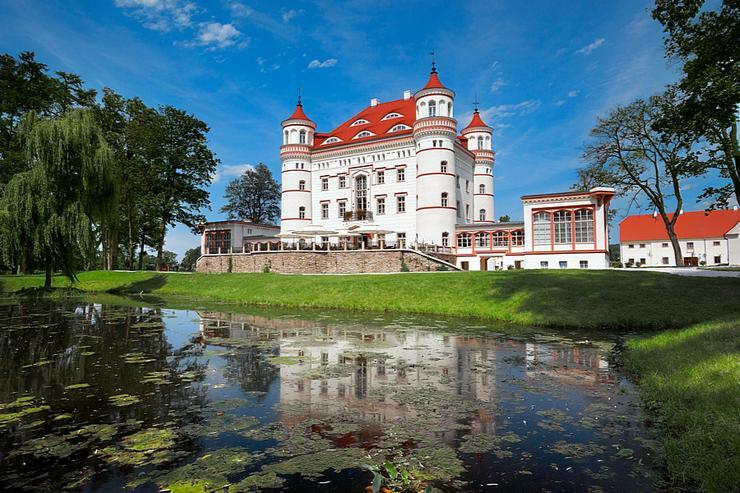 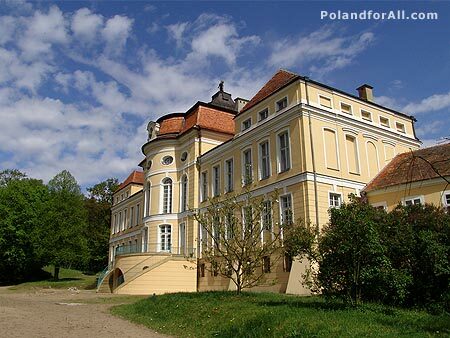 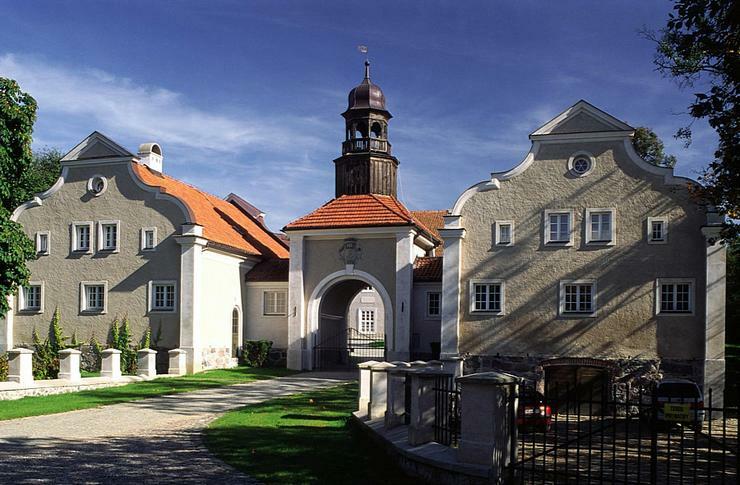 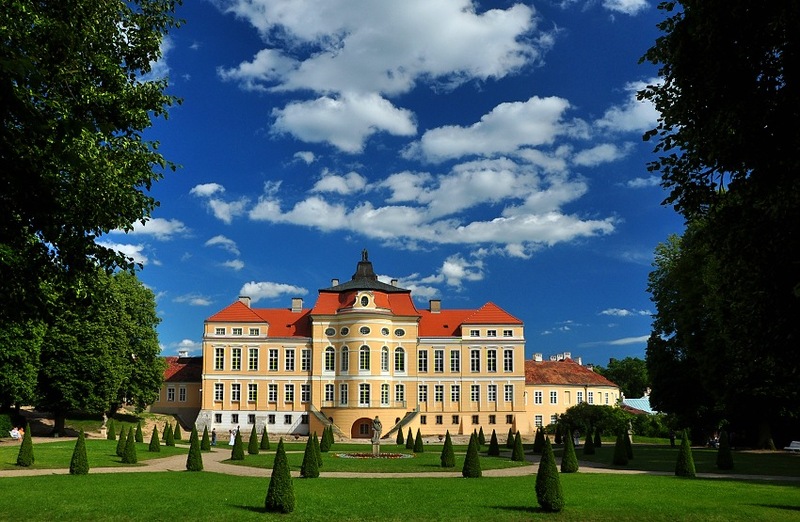 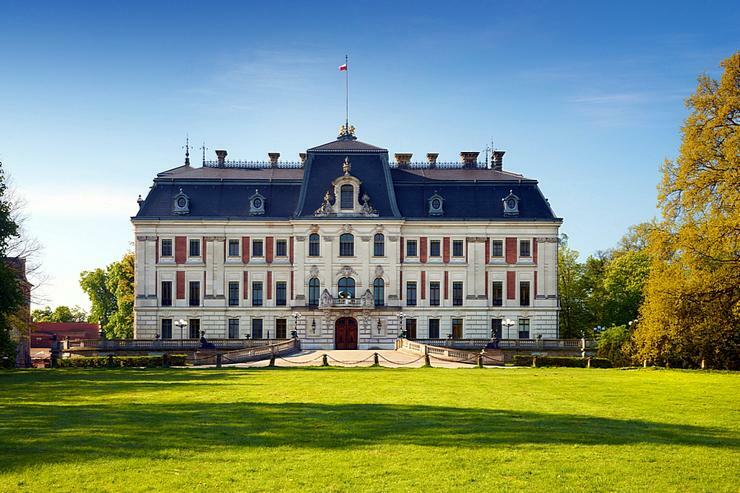 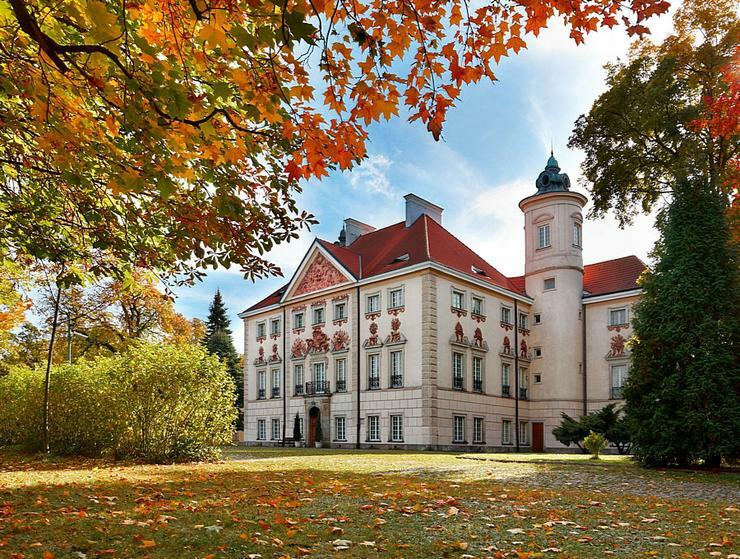 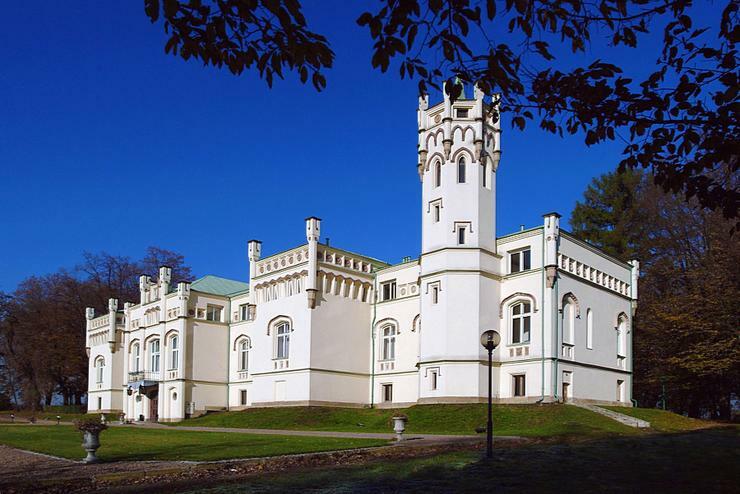 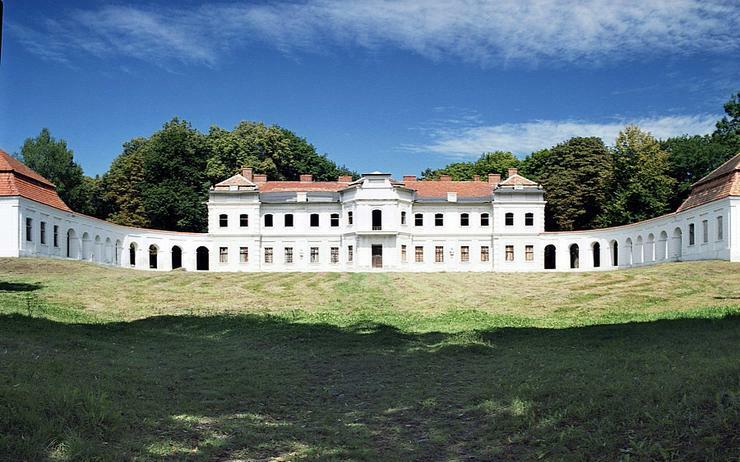 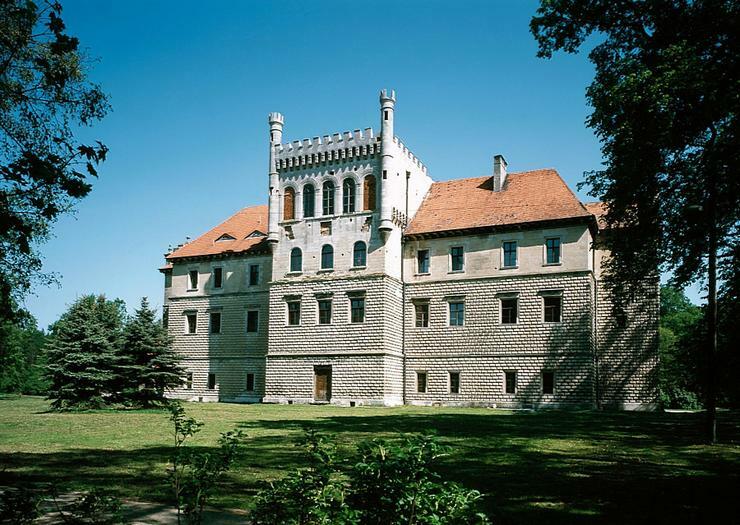 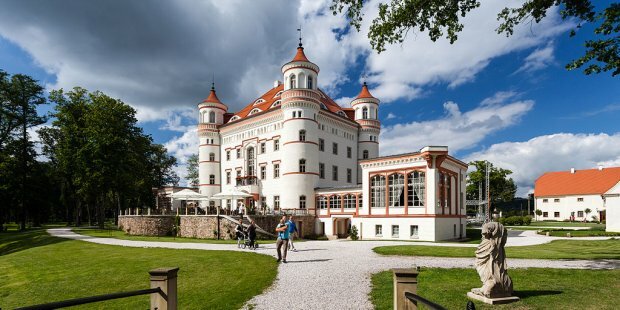 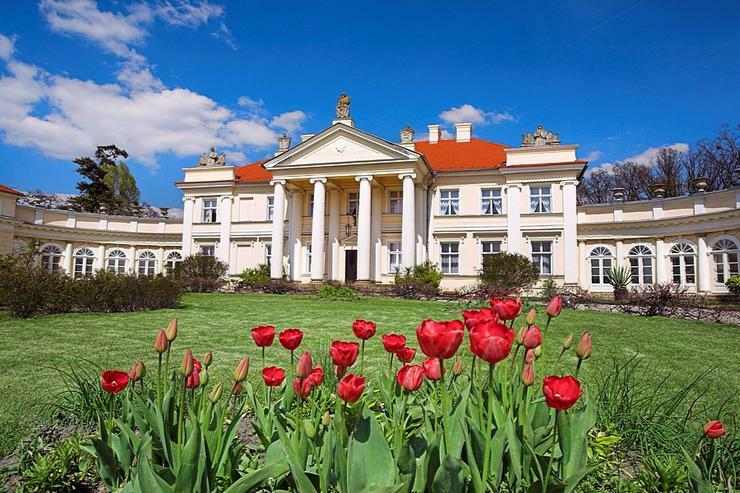 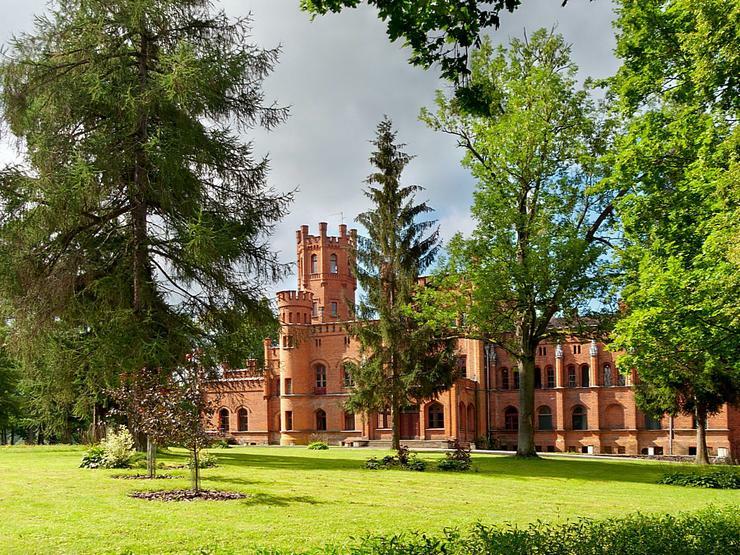 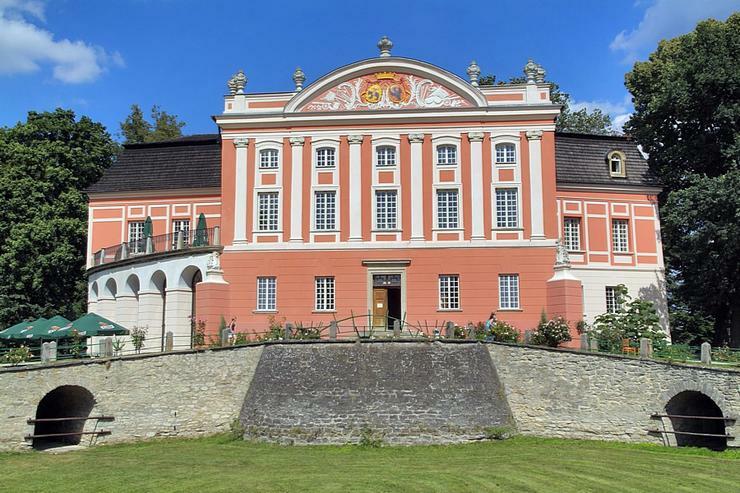 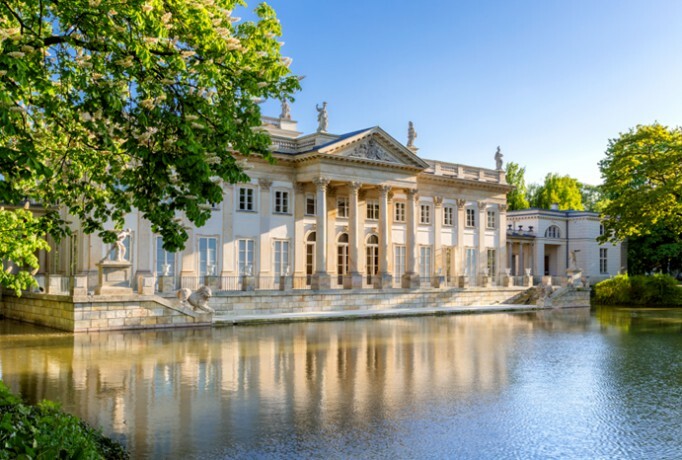 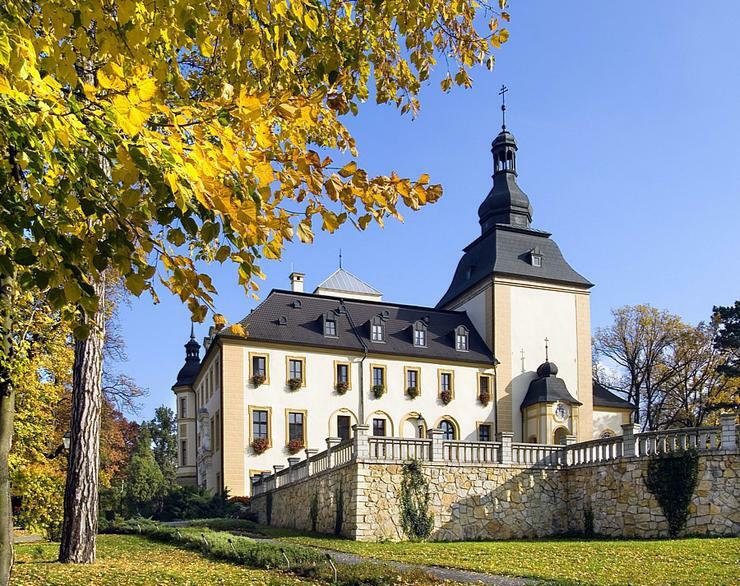 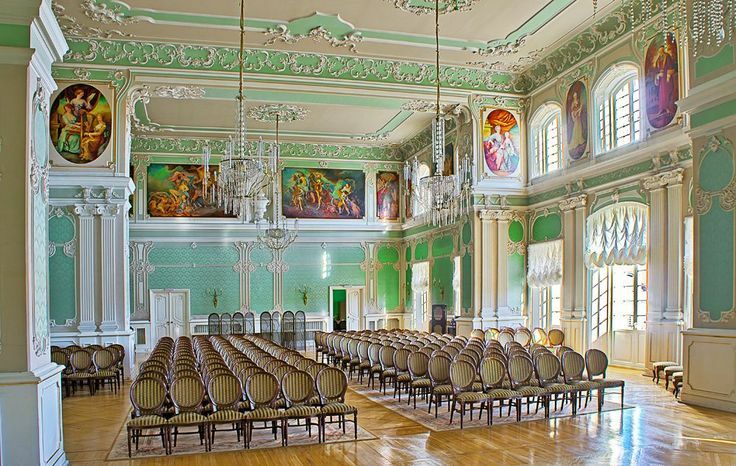 Here is some information on this palace: Rogalin was the residence of the princes Raczynski. 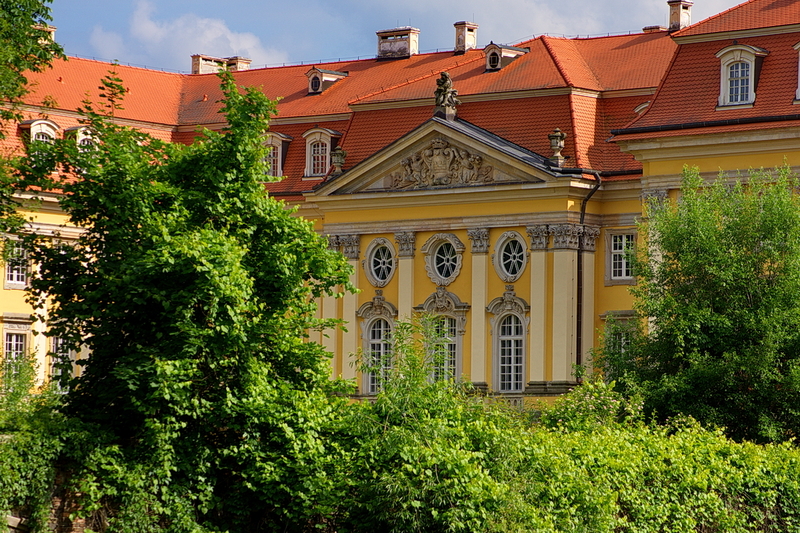 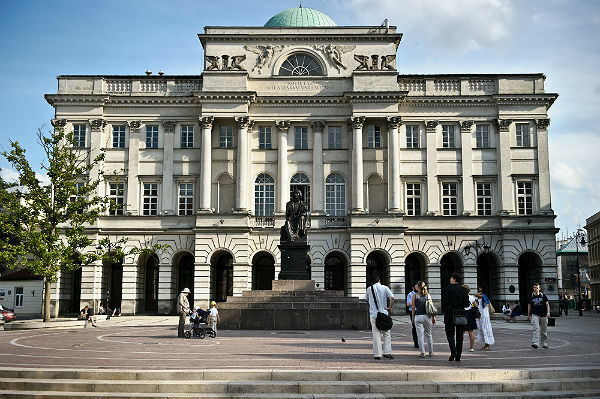 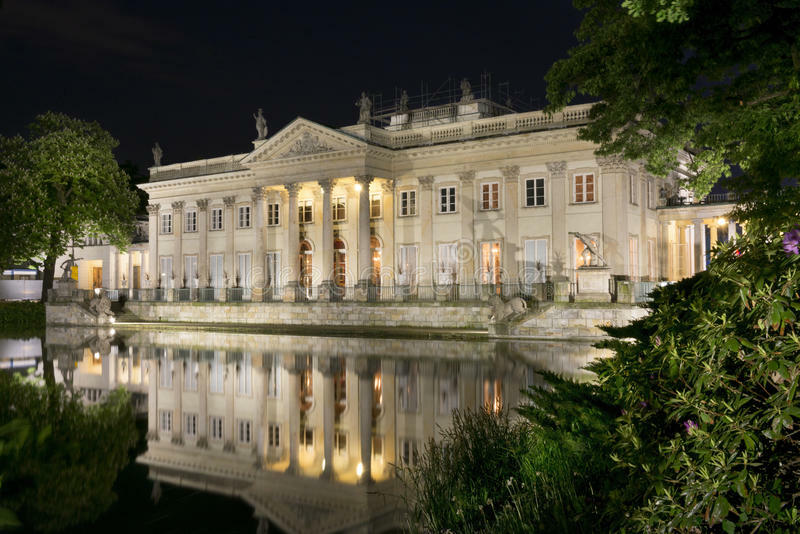 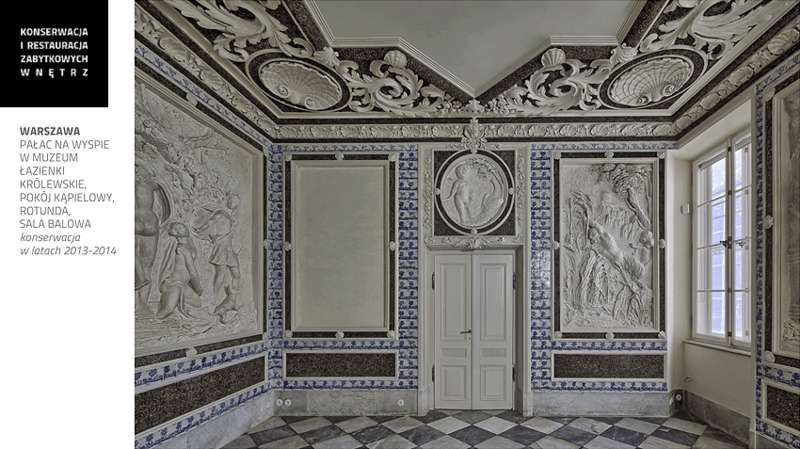 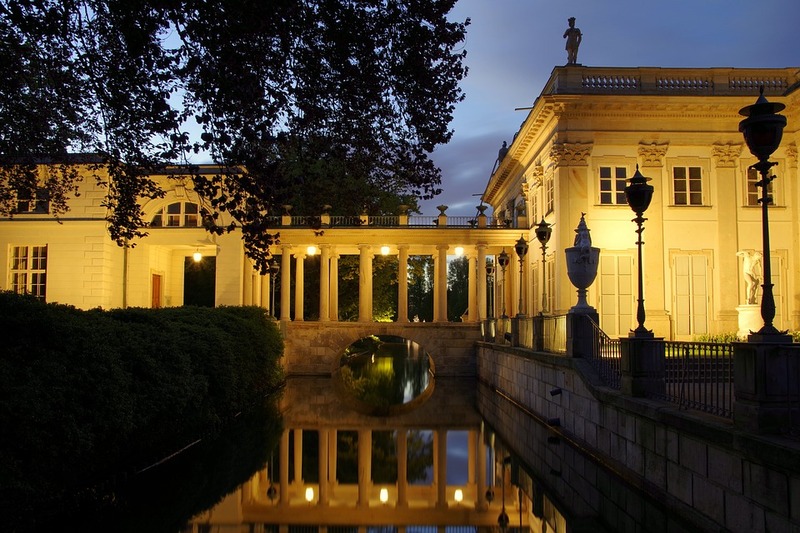 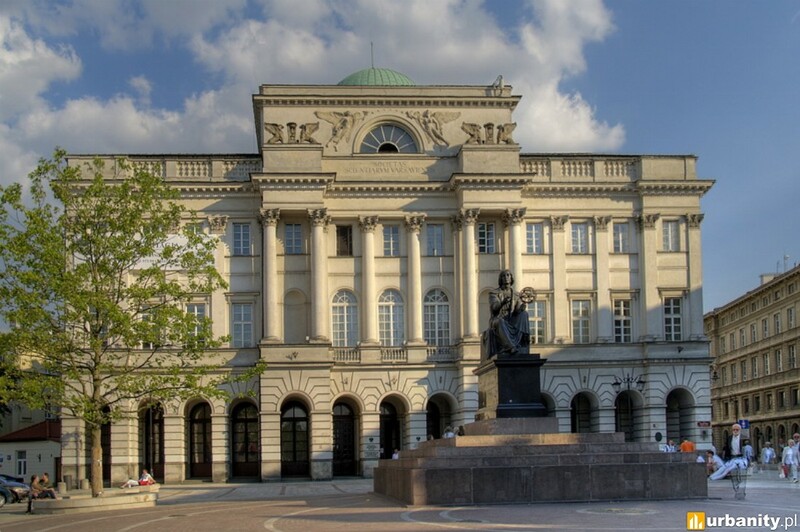 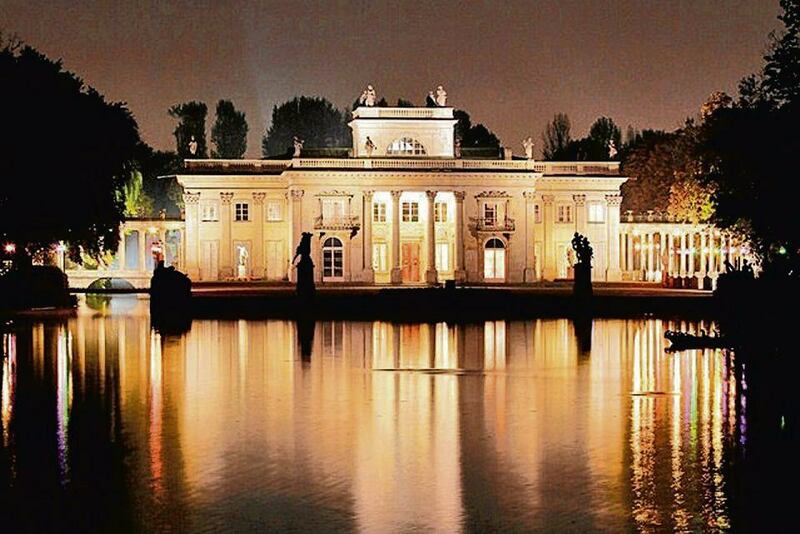 Today the 18th century Baroque palace houses parts of the Poznan National Gallery. 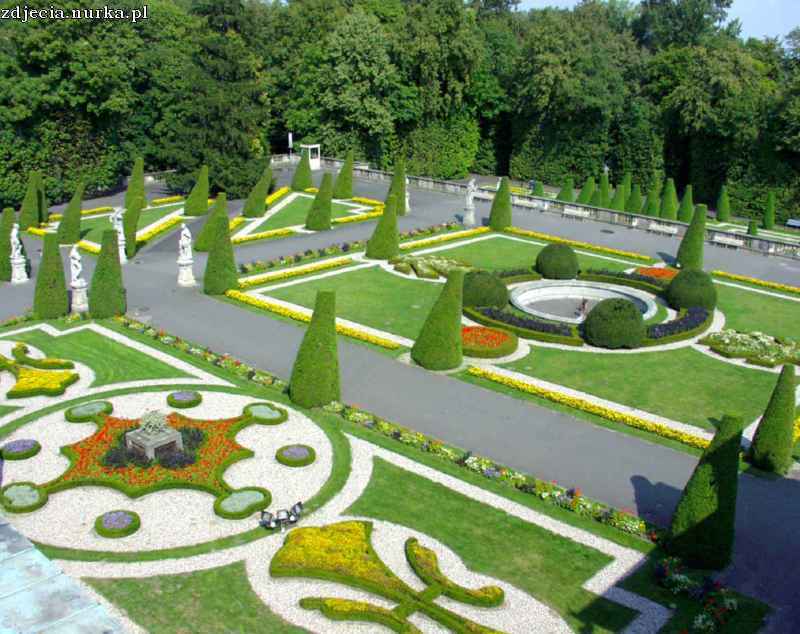 Rogalin is famous for its huge garden in french and english style. 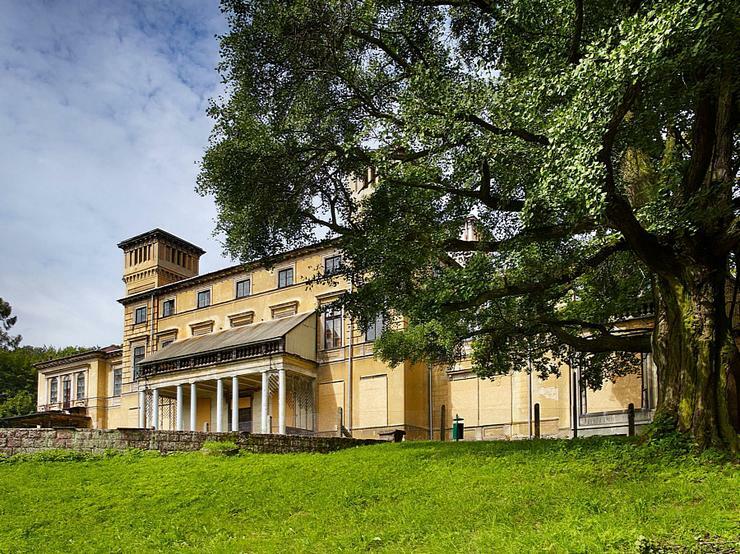 More than 300 old oak trees grow in the park! 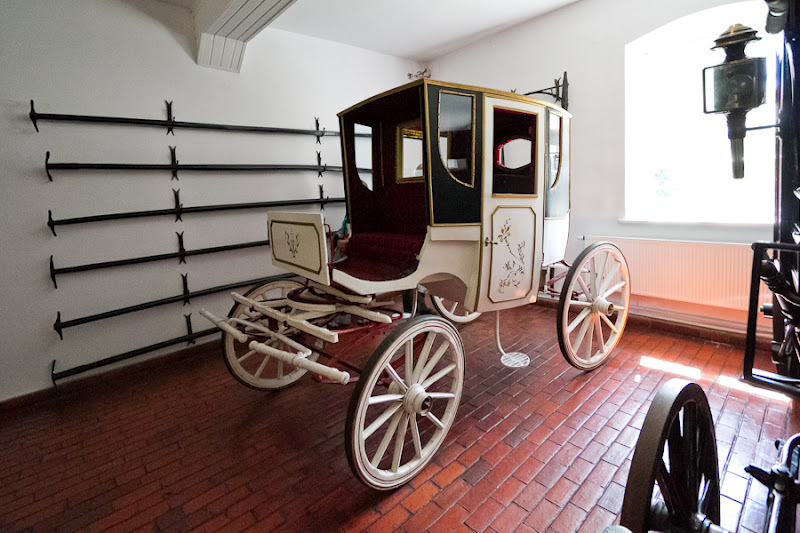 The stables of the palace house the largest collection of historic carriages in Poland. 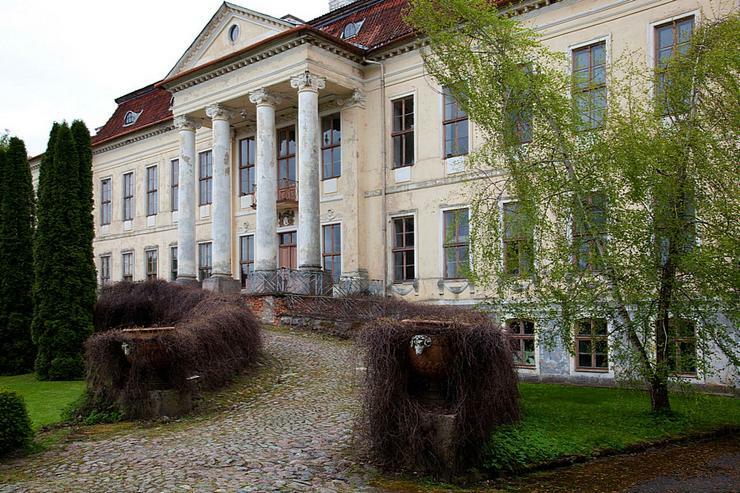 Sounds like a nice place to visit anyway! 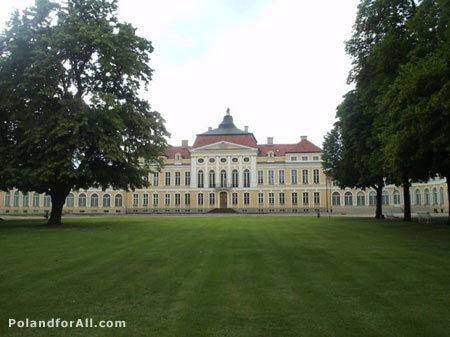 Jim, great photos of a great palace! 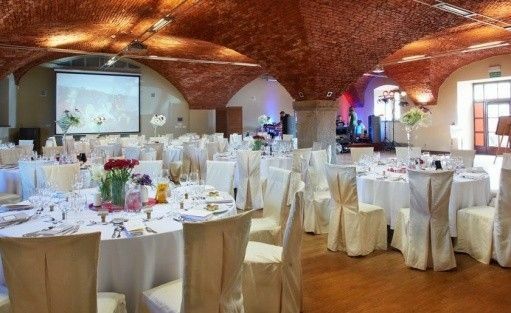 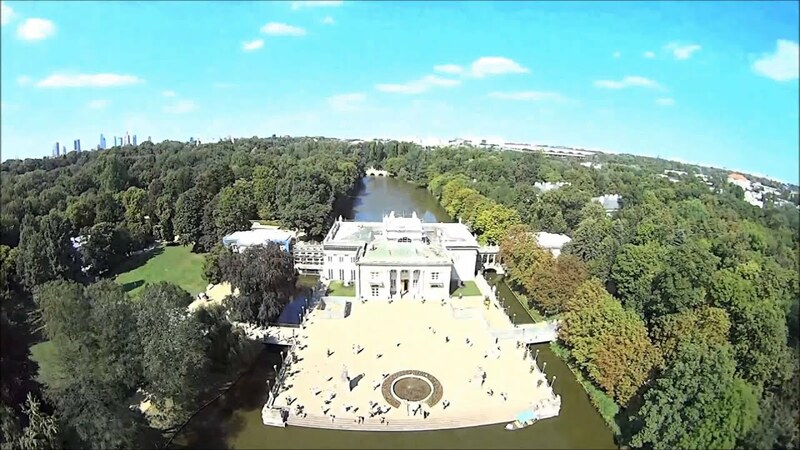 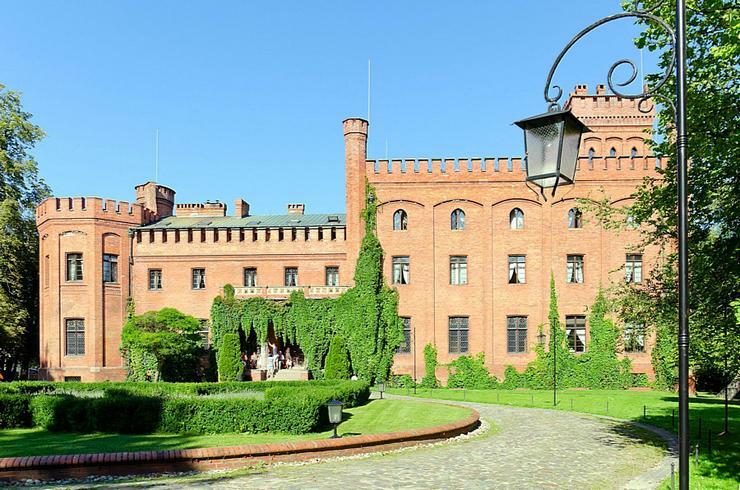 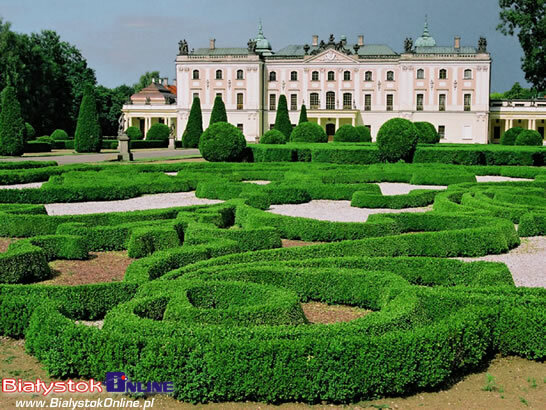 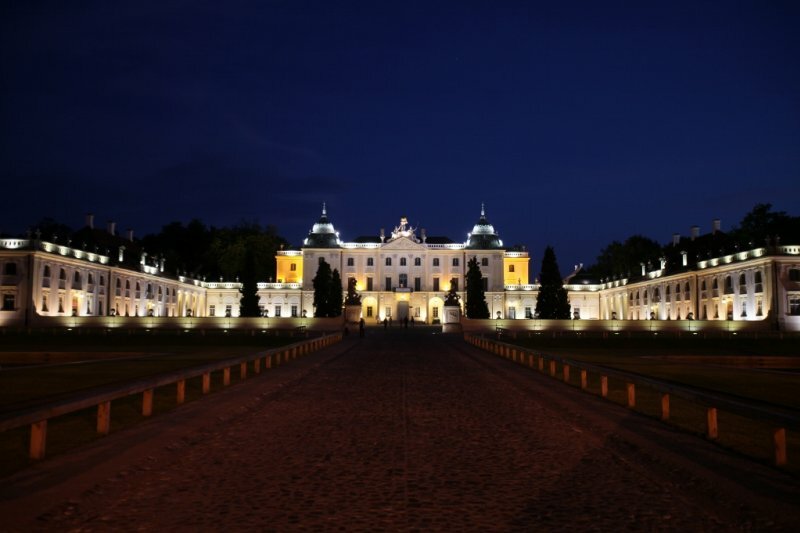 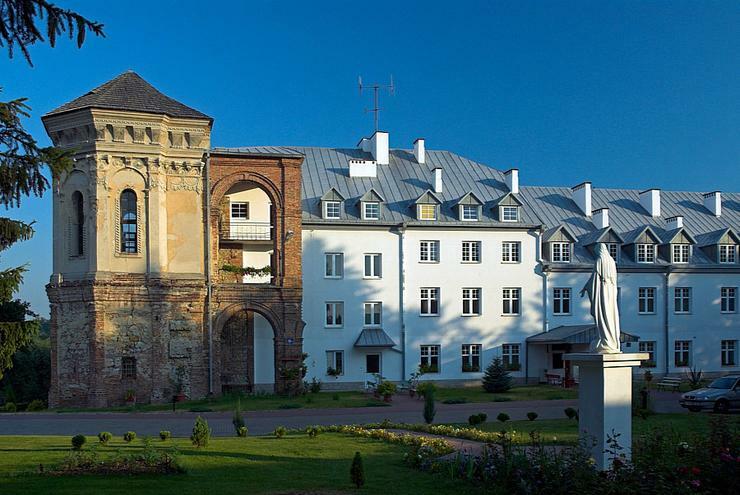 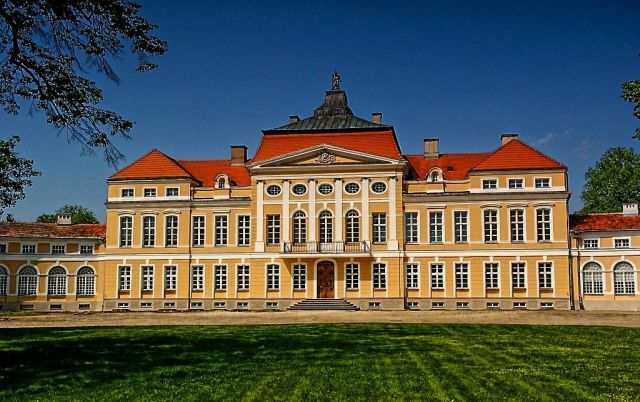 But the greatest palace in Poland is located in Wilanów, Warsaw, the residence of Polish kings. 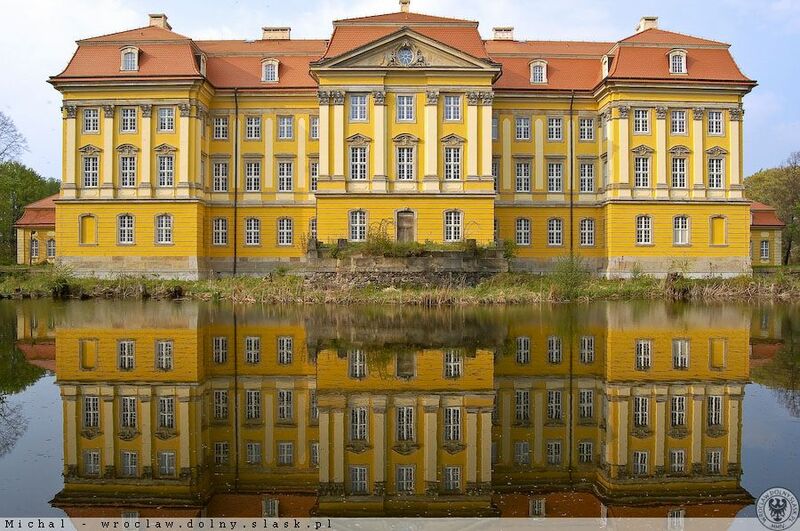 I think my daughter visited this back when she was in college and had a Polish boyfriend. 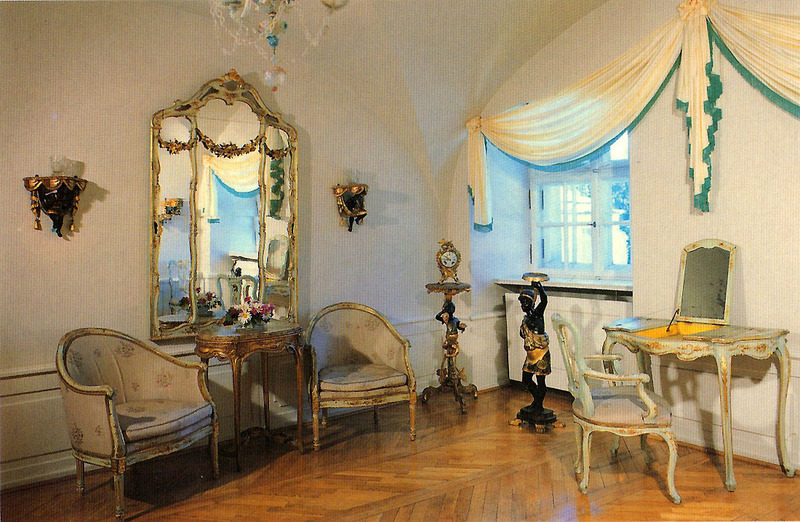 I think I remember her showing me photos that she took of their visit there. 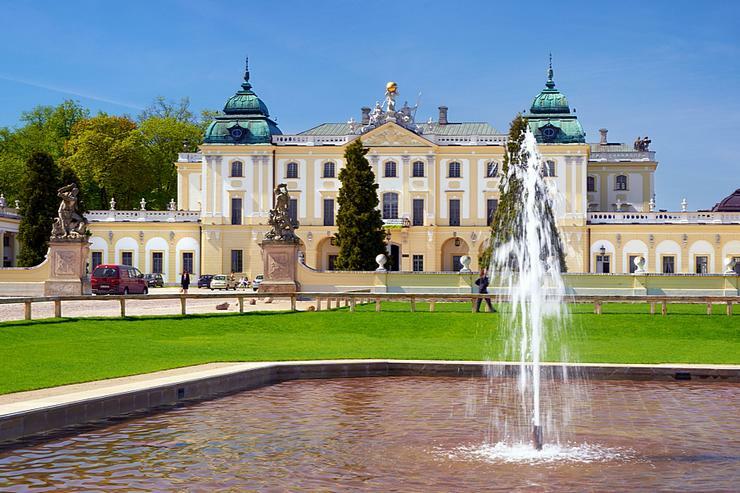 Her boyfriend lived in Bialystok, so it would make sense that they would bring her there. 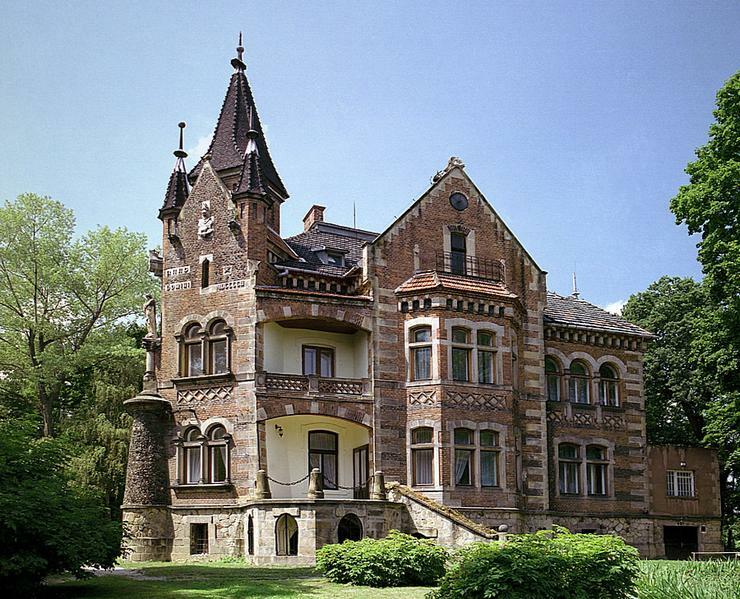 I suppose it is a must on the sighseeing list for the area. 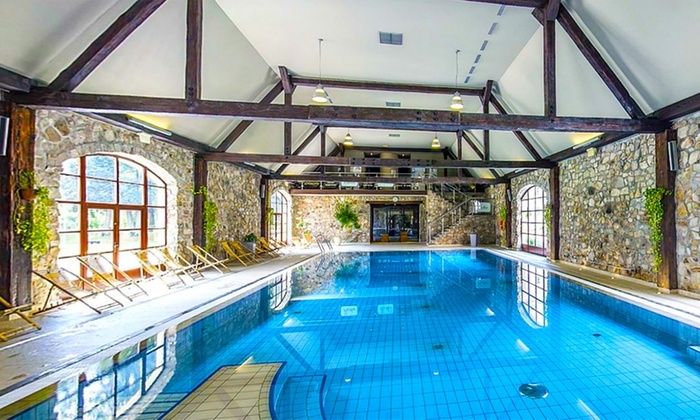 Looks quite pretty. 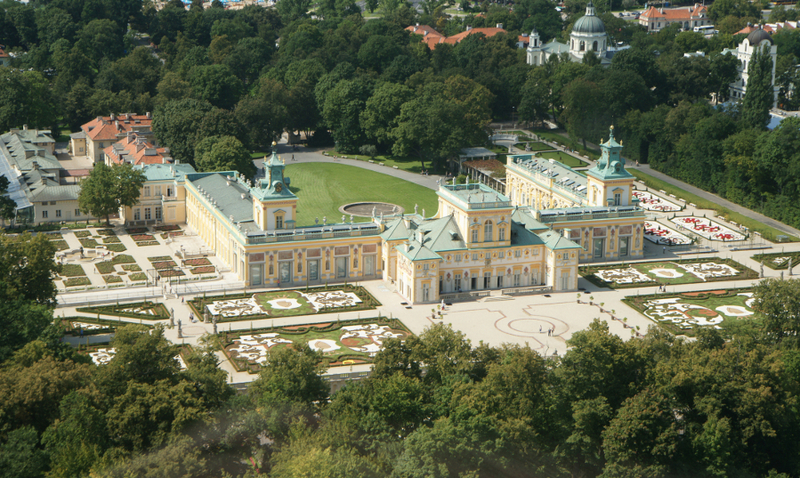 Funny I forgot about this important palace in Warsaw - the Baths. 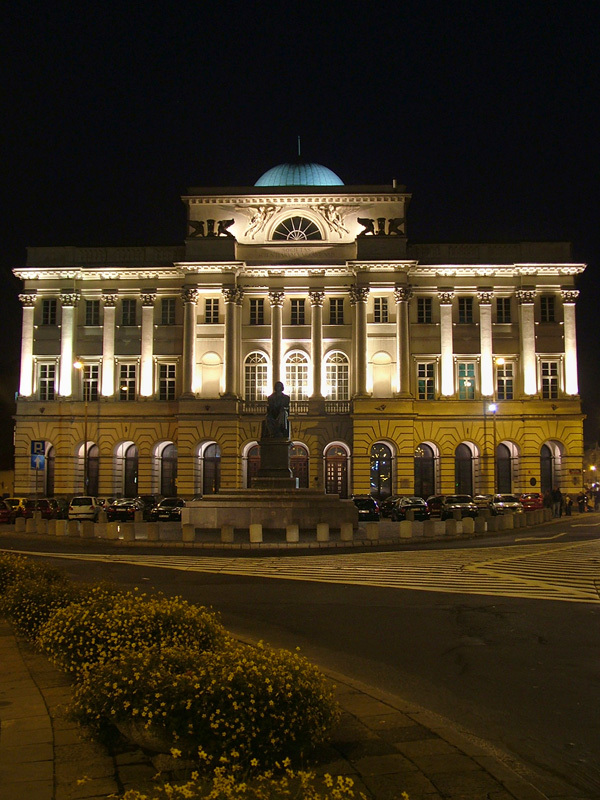 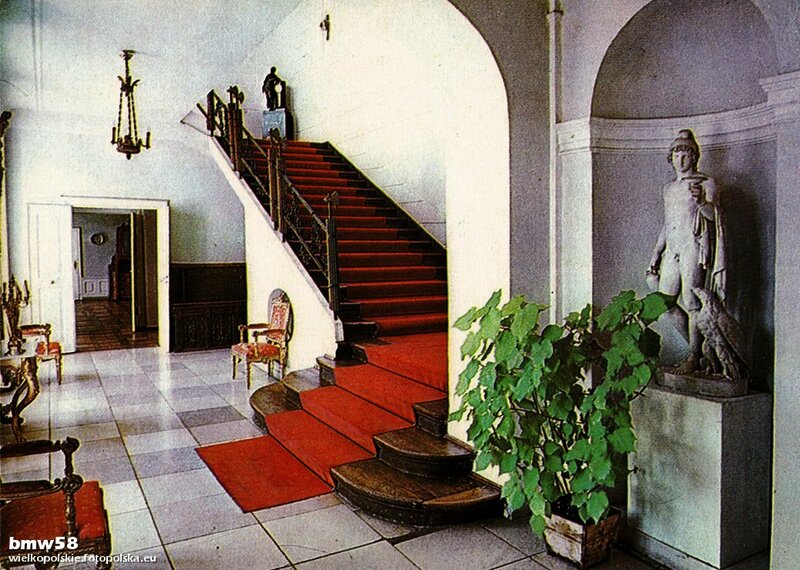 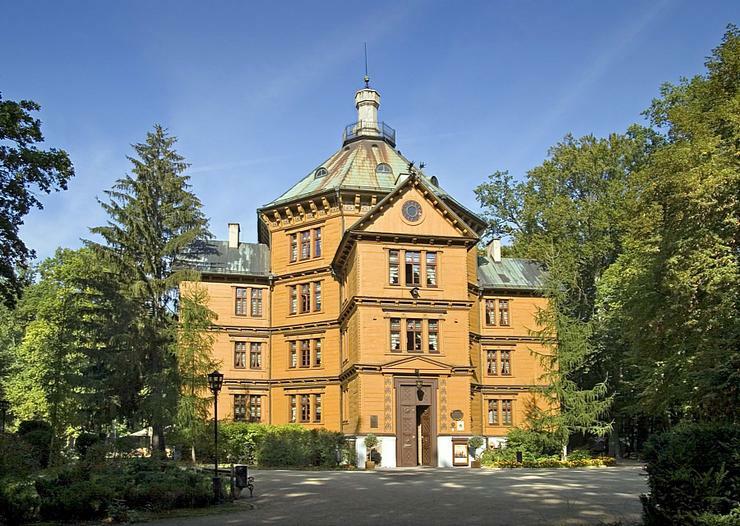 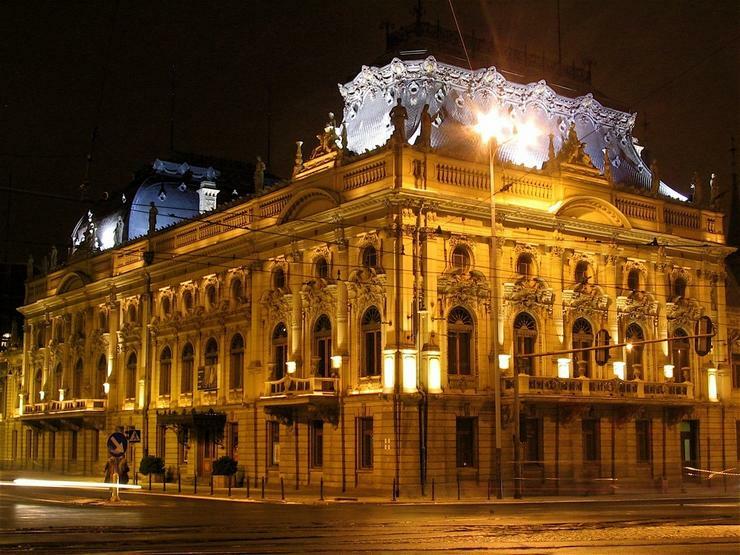 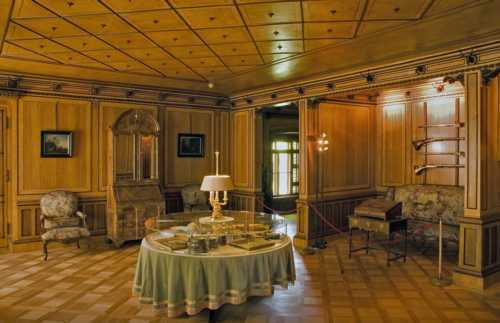 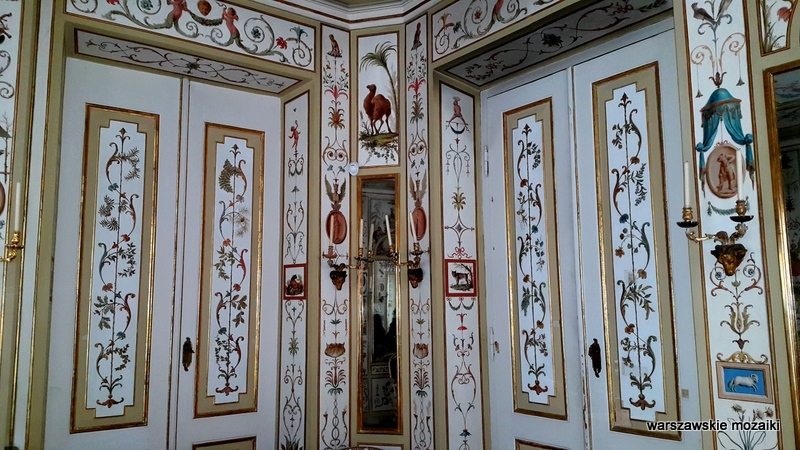 Palaces were also built by businessmen who made the financial elite in 19th century.